With just about every industry taking steps towards a greener future, it’s no surprise the technology industry is also thinking green. Fortunately, big data is helping to create a cleaner, more efficient technology sector. With eco-friendly tech in mind, here are just a few ways big data is impacting clean technology in a positive way. What is Clean Technology? In general, clean technology refers to any tech-based practices or processes that promote energy efficiency and sustainability. The Clean Technology Trade Alliance also defines clean tech as any technology that promotes resource reduction, pollution control, waste reduction, and carbon mitigation. Clean technology has the potential to positively affect all industries, whether tech related or not and it all starts with big data. 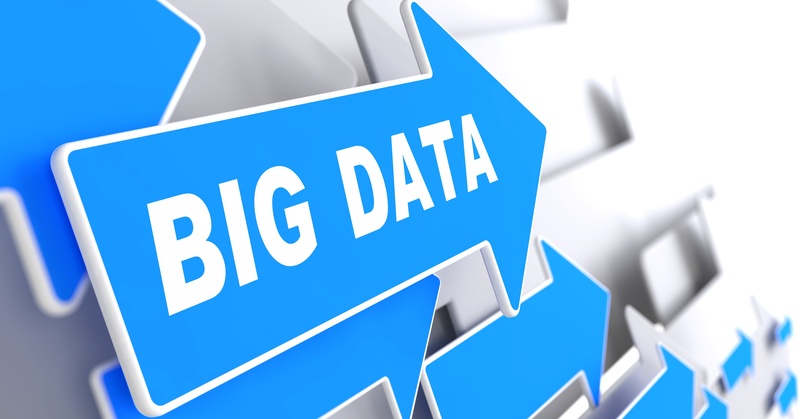 Just about every business sector uses big data and data management. By using big data as a tool to create and improve clean technology initiatives, big data can truly improve the growing world of clean tech. Renewable Energy Clean technology is already being used in the renewable energy sector and big data is helping to manage all the data the clean tech is producing. For example, big data is tracking data from environmentally friendly power plants in order to find more efficient ways to produce renewable energy such as solar and wind. Likewise, traditional power companies are producing tons of useful data that they are then using to reduce carbon emissions in plants all across the country. From solar and geo thermal energy to photovoltaic and tidal energy, big data is giving the renewable energy sector amazing insights into improving its clean technology practices. Energy Storage As the following article asks, Could big data be the solution to clean technology? Well, when you consider the energy storage advantages, the answer is yes. Big data in combination with clean technology practices are helping the world’s leading energy producers better store all of the excess energy they produce. Many energy companies are producing more clean energy than they know what to do with. Through the use of big data analytics, clean energy companies are finding more efficient ways to store their energy. Whether it’s mechanical storage, thermal, or electrical, big data is giving the energy sector an overview of how much energy its creating and where best to store that energy. Production Processes Textile, manufacturing, and production industries are also using clean tech to improve their green practices. Through assembly line automation technology to machine heat recovery and engine efficiency, production processes produce untold amounts of data on a daily basis. Big data improves these production processes by finding more efficient ways for machines to do their jobs. Likewise, big data can track energy usage throughout entire production facilities and pinpoint where energy is being wasted. Smart Grids Electrical grids are called smart for a reason: big data. Local and citywide smart grids and residential smart meters are changing the way the country is looking at energy distribution and usage. In terms of clean technology, big data is helping smart grids become smarter by implementing more effective data collection processes and tracking usage patterns. When it comes to clean technology, big data is impacting the energy sector and other industries in a major way. About the Author: Adam Groff is a freelance writer and creator of content. He writes on a variety of topics including technology and the environment. Next postIs Your Business Properly Allied?